Andy Murray crashed out of the Australian Open to world number 23 Bautista Agut in what could be his last competitive tennis match. A chronic hip injury, for which he had surgery last year, could end the three-time Grand Slam tournament winner’s career; he announced in early January that this tournament may be his last. He was the first Scottish man to win Wimbledon since 1896 and the first British man to do so since 1936. He is a national hero and ought to be remembered as one. The former world number one burst onto the scene as a wildcard at Wimbledon in 2005. 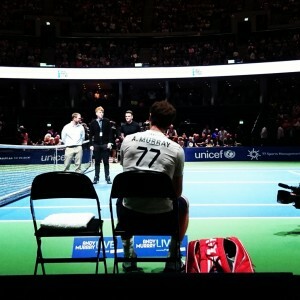 Less than a year later, at the age of 19, Murray took over from Tim Henman as British number one. He broke into the world top 10 in 2007. His first major final appearance was at the US Open in 2008, and he ended the year as world number four. In 2009, he became the first British male to make a Wimbledon final since Bunny Austin in 1938. He won gold at the 2012 and 2016 Olympics and went on to win three majors after his first at the US Open in 2012. 2016 was his most successful year, as he won two majors and the Davis Cup along with an Olympic Gold medal, ending the year as world number one. Despite being Britain’s best player for a long time and galvanising the country, the Hibs fan from Dunblane came under a fair amount of criticism. Some say that he is anti-English because he once joked that he would “support whoever England are playing” at the 2006 World Cup. He tweeted support for Scottish independence just before the referendum in 2014. On both occasions, he received substantial amounts of abuse. Others have labelled him dull and serious, claiming that he has no sense of humour. Some Brits prefer to support other players such as Federer, Nadal and Djokovic, asserting that Murray will never be part of their class. But Murray proved his critics wrong. He won over the British public by winning three majors and enthralled the country as he got to latter stages of tournaments. He showed that he does have a sense of humour, in different interviews and through social media, memorably posing dead-faced with a Christmas jumper in 2015, playing up to his stereotypes. He was a mean competitor for the other members of the “big four”. He might not have the natural flair of Federer, the backhand of Djokovic or the defensive ability of Nadal, but he makes up for all his shortcomings through sheer determination. This determination is something that is pervasive throughout Scottish sports. We have a tradition of fighting to the end but being valiant in defeat. Murray breaks convention here; he is a winner. He won three majors, two Olympic medals and the Davis Cup. This is especially impressive considering he lost his first four major finals. The 31-year-old is up there with Denis Law, Jackie Stewart, Katherine Grainger and Chris Hoy as one of Scotland’s greatest ever sportspeople. I remember 7 July 2013, the day Murray won the first of his two Wimbledon titles, beating Djokovic in straight sets. The joy of seeing a Scot win a major trophy in a leading sport was inspirational, and that day will live long in the memory of many people across the nation. He made me, and many others, proud to be Scottish. To hear of his potential retirement is sad, but the testimonies of other professionals show that he was a world class player. Hopefully he will play again, and to see him compete at the highest level one more time would be amazing. If not, the world of sport will miss him.